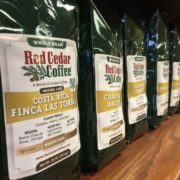 We have recently been fielding questions on cold brew technique at the Red Cedar Coffee Co. Tasting Room in Berea, Ohio. As we head into the warm summer months it is not hard to think about cool summertime beverages. Cold brew coffee is one of those options. While cold brew tends to be most popular during the summer, increasingly it is being served year-round in cafes and restaurants. 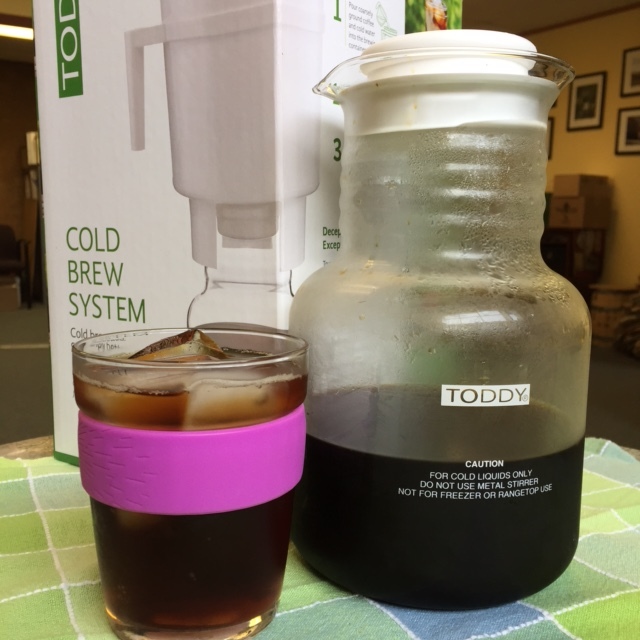 The Toddy Cold Brew System brews a coffee concentrate using cold or room temperature water. When you are ready to drink cold brew coffee simply add 3 parts of water milk or soy (cool or steaming) to 1 part coffee. One benefit to cold brew coffee is the longer brew time (using cooler water) removes much of the acidity naturally found in coffee (50-67% less acidity compared to drip coffee makers according to Toddy). 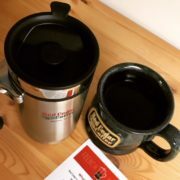 Another benefit is that the Toddy Cold Brew system is easy to brew and clean. 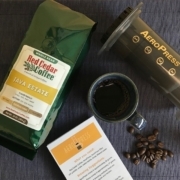 The coffee concentrate stays fresh up to 2 weeks in the refrigerator. The system comes with a brewing container, glass decanter, lid, Toddy filters (2) and a rubber stopper. 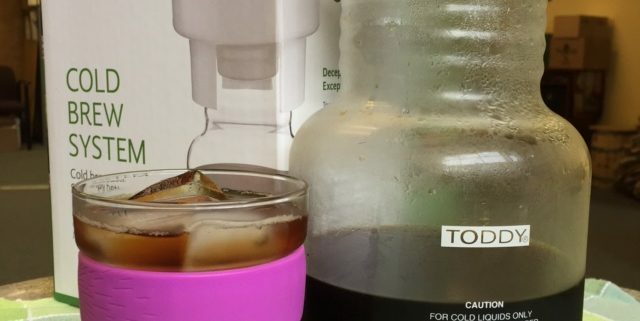 The Toddy Cold Brew system is BPA free. 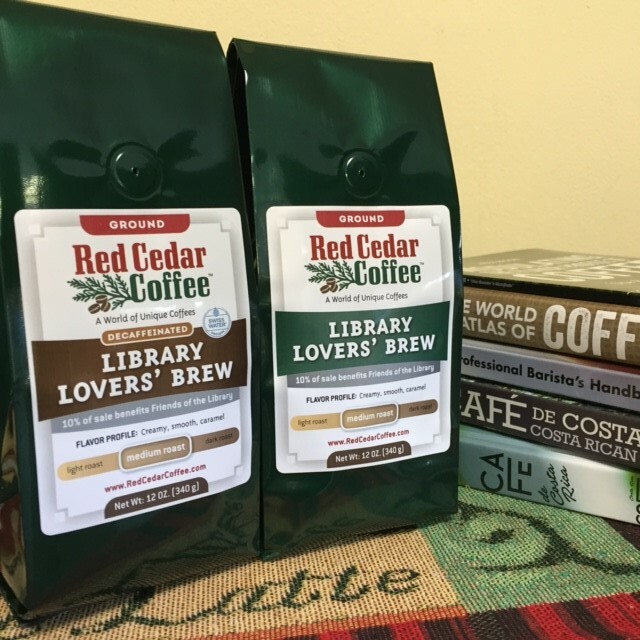 Red Cedar Coffee Co. sells the Toddy Cold Brew System, Toddy replacement stoppers and Toddy replacement filters. Pour coarsely ground coffee and cold water into the brewing container. Filter the coffee concentrate into the glass decanter. Stays fresh for up to 2 weeks. While any coffee may be used to brew cold brew coffee, we have a couple recommendations. 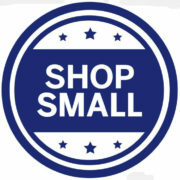 If you prefer fruitier coffees try our Kenya AA or Ethiopian Sidamo. 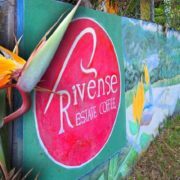 For chocolaty notes try our Fair Trade Certified Organic Colombian. Stir all ingredients, except the ice, together in a 16 oz. cup until well combined. Fill with ice. Stir together ingredients (except milk and ice). Pour into tall glass over ice, add milk and serve. Beat cream until rich and fluffy, with soft peaks. Mix in sugar, and continue to beat until stiff peaks. Add whipped cream to mug. Mix Toddy® coffee concentrate with water and steam. Add vanilla and pour over cream. Serve right away, and do not stir. *Recipes from Toddy.com. Additional Toddy cold brew recipes may be found here. May 16, 2017 /by Anne D.